Zuwa - Sintorn Co., Ltd. Principal of operation: Flexible impeller pumps are positive displacement pumps. The impeller with flexible vanes is mounted concentrically in a circular housing which has flattened area at one side. This provides the eccentric path for the impeller, thereby squeezing the flexible blades. The impeller rotation and the vanes of the impeller creates a vacuum on the suction side drawing the fluid into the pump chamber. The rotating impeller transfers the liquid from the inlet to the outlet port of the pump. The squeezing of the vanes against the cam causes pressure at the delivery side and the fluid is pressed out in the continuous operation. 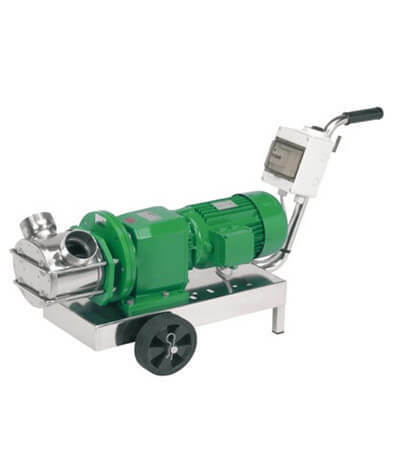 prefilling, pump is able to create suction pressure of up to 7 meters depth. Flexible impeller pump is able to drain tank down to the last drop. different material of pump casing and impeller are available. 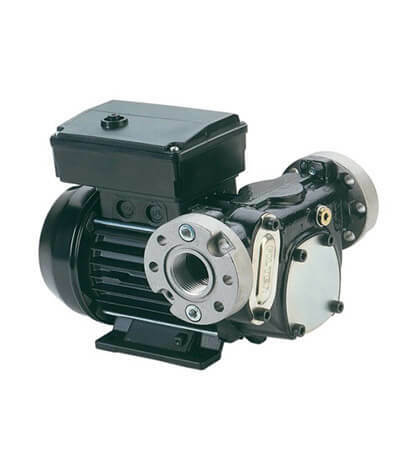 Flexible impeller pump is gentle and transfer fluid absolutely free of pulsation. 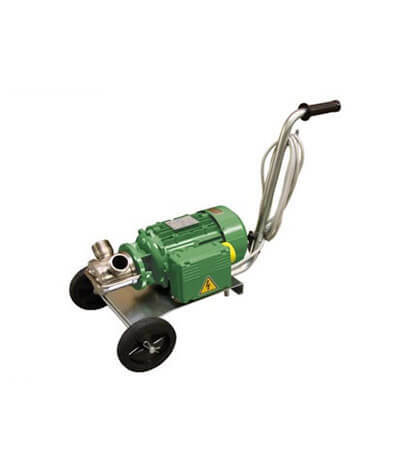 Flexible impeller pump is able to pump liquid with gaseous and air content. 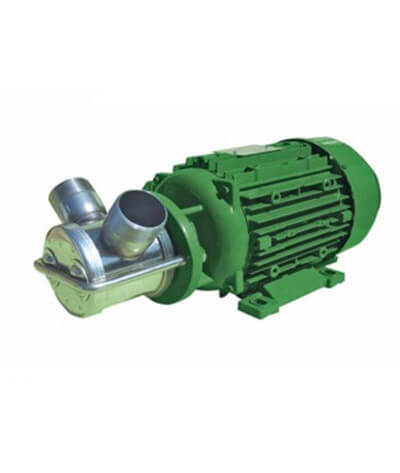 Flexible impeller pump is reliable, easy to maintain and sturdy in operation. 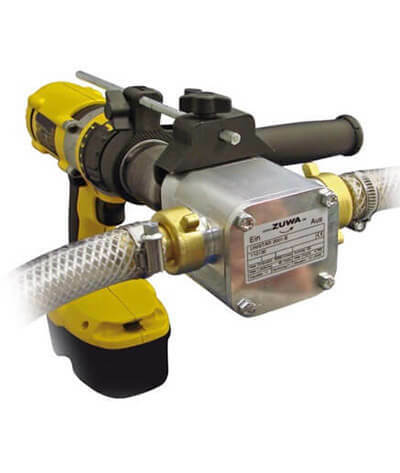 Zuwa makes efficient pump suitable for portable use for refueling, flushing and filling station. Also suitable for oil filling station and dirty oil removing station. 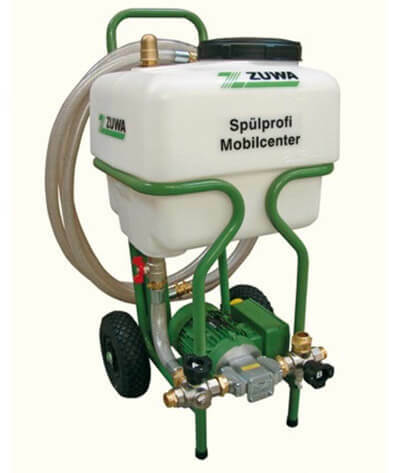 The mobile unit can be equipped with inlet filters, with pump start/stop control station, with hoses and nozzle and filling tank with capacity indicater. Movable cart is light weight, easy to be handled with one hand, comes with all terrain pneumatic tires. All Zuwa filling station comes with high temperature resistance supply and return hoses, threaded hose coupling and high pressure climped fittings. Zuwa flushing station is suitable for effective descaling of heat exchangers and hot water storage tank. The unit is designed for HVAC professionals to flush boiler and heat exchanger with anti-scale agents. Function: An agent circulates between heat exchanger and the pump unit. Lime scales is softened, washed out and collected in the tank. Unit is equipped with dry self priming pump with stainless steel casing, filter at pump inlet, pressure relief valve at pump outlet, 3 m suction and pressure hose, with corrosion resistance fittings, removable plastic tank with stop valve. Zuwa makes efficient pump power available everywhere. 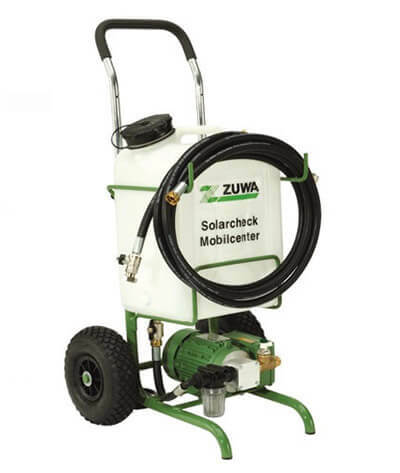 All Zuwa pumps of the 2001 series can be powered with any regular electric or cordless drill and screwdriver, at any time, at any where. Connect the shaft of the pump with the chuck. The depth stop of the drill fully stabilises the system and ready to use. 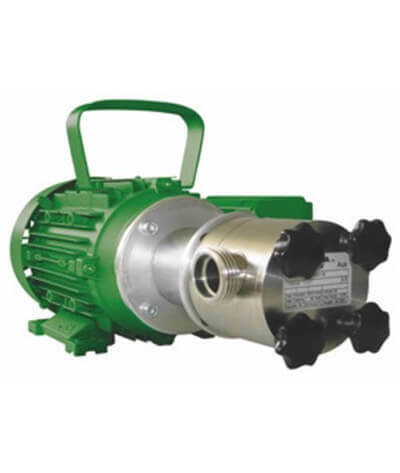 The pump is self-priming and has a metal body and shaft with top quality ball bearing guaranteed a long life time. 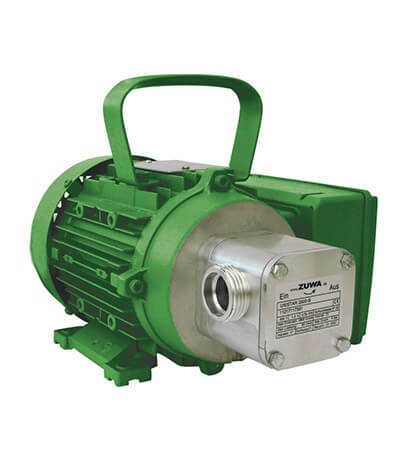 All Zuwa flexible impeller pumps are dry self priming from a depth of 3 meters, no pre-filling required. The flexible impeller is able to pass solids mixed with the liquid. Zuwa diesel fuel pump is suitable for use in filling and refueling of construction engines, commercial and agriculture vehicles, motors, ship, boat, and yacht. Pump is self-priming with pressure regulating valve, filter and anti-syphon valve.